China is the biggest emitter of certain toxic fluorinated chemicals today, shows a new study published in Environmental Science and Technology. Researchers from Sweden, Norway and China have measured the levels of 12 fluorinated substances at the mouths of 19 Chinese rivers. “Our field measurements have confirmed the theoretical calculations of emissions”, says Thanh Wang, researcher at Örebro University who led the research project. The research team measured the presence of two particularly well studied fluorinated substances, namely PFOS (perfluorooctane sulfonate) and PFOA (perfluorooctanoic acid). PFOS is used for example in the manufacturing of insecticides and chrome plating while PFOA is used, for example, in the production of polytetrafluoroethylene (or PTFE which is often better known through one of its tradenames as Teflon). PTFE is used as a coating for non-stick kitchen utensils. Research has shown that this group of chemicals can be harmful to animals and humans. “We have previously shown that the manufacture of PTFE is the main source of PFOA to the environment,” says Ian Cousins, professor at ACES and co-author of the study. 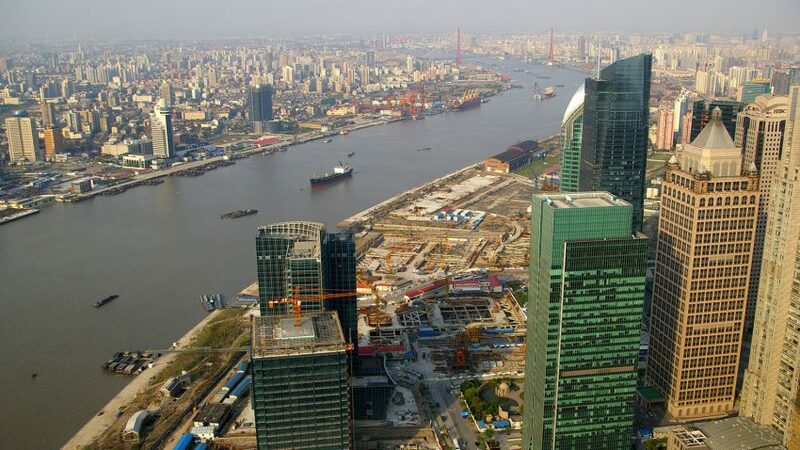 The researchers pin the presence of high concentrations of these substances in Chinese rivers on China’s lack of firm regulation on the production and use of fluorinated substances. The scientists also measured the levels of the substance F-53B in Chinese rivers. This substance is used as an alternative to PFOS mainly in chrome plating. “More studies are underway. There are signs that F-53B can be even more hazardous than PFOS but so far, its use has been relatively limited,” says Thanh Wang. The use of PFOS is regulated by the Stockholm Convention, which aims at limiting the spread of persistent organic pollutants. The use of PFOS was banned in the EU in 2008. In addition, large manufactures in the United States have agreed to stop using PFOA. “Our study provides strong evidence that Chinese emissions of PFOA account for the majority of all PFOA emissions globally today. This cannot continue because PFOA will probably also be included in the Stockholm Convention soon. Hopefully, our work will instigate action towards reducing current emissions in China. PFOA and other fluorinated substances are not only China’s problem. They are a global, long-term pollution problem,” says Ian Cousins. The research project was a collaboration between the University of Örebro, Stockholm University, the Norwegian Institute for Air Research and the Chinese Research Centre for Eco-Environmental Sciences, and was co-funded by the Norwegian Research Council and the Chinese Academy of Sciences.